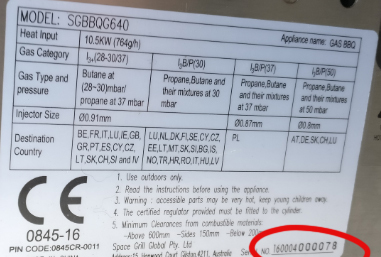 To make a warranty claim you’ll need to complete our claims form providing us with the relevant information such as the reason for the claim, good photos of the product fault, as well as entering your SpaceGrill’s serial number. We’ll also need proof of purchase, so it would be helpful to keep your receipt, invoice or any other valid proof of purchase (if you have already registered your SpaceGrill then we will already have this). Please enter all relevant details regarding the fault that has occurred including any relevant surrounding circumstances. Please upload photos that best demonstrate the full extent of the product defect.